Tickets to Simon Schama: The Wordy Tour now on sale! Does the power of the word still hold strong in a world ruled by Twitter? Have the vessels of ideas, the carriers of argument, the components of poetry, the language that makes us human - seemingly lost their strength in the time of reduced attention span? Historian, critic, journalist and broadcaster Simon Schama has been living in a house of words for over fifty years. He has orchestrated a symphony of words in grand novels and snappy essays; from live comedy in Chicago to cooking shows on TV. He now has a brand new body of work on all manner of subjects from Leonard Cohen to Falstaff and populism to pomegranates. Experience his words live on stage with Simon Schama: The Wordy Tour at the Theatre Royal Haymarket this June for a very special one-off performance. Simon Schama tickets selling fast! 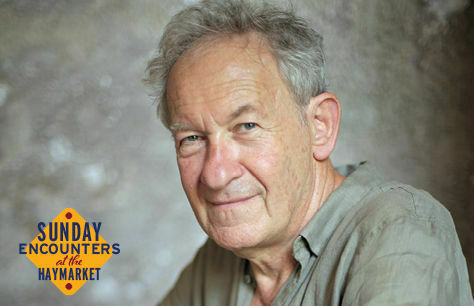 Simon Schama: The Wordy Tour serves as part of the Haymarket's Sunday Encounters season. Don't miss it!